Over the years, researchers have identified several risk factors that may increase a person’s chances of developing colon cancer. However, having one or even several of these risk factors does not necessarily mean you will get colon cancer. Although they make no guarantees, these risk factors are helpful indicators of people who may need to take extra health measures to guard against colon cancer. If you think you may be at above average risk or are unsure, talk to your doctor. If you have a history of colon polyps or cancer, especially if the polyps are large and/or numerous, you are at a higher risk for developing colon cancer. If you have had colon cancer before, there is a higher chance that you will develop cancer in other areas of the colon. Inflammatory bowel disease is a condition in which the colon becomes inflamed over an extended period of time. IBD increases risk of colon cancer, and if you have it you may need to be screened earlier and more frequently than recommended. This link is not clear in all cases, but research shows that cancers can be genetic due to inherited genes and shared environmental factors. People with first degree relatives (parents, siblings, or children) who have had colon cancer are therefore at an increased risk. African Americans, Native Alaskans, Jews of Eastern European descent and certain other racial and ethnic groups have higher than average colon cancer incidence and mortality rates. The scientific reasons behind this statistic have not yet been explained, but it means that these groups are at an increased risk for colon cancer. There is plenty of research linking dietary habits to colon cancer risk. A diet high in red meats (such as beef) and processed meats (like lunchmeats, sausages and bacon) increases risk of colon cancer. A lack of physical activity may be an indicator of increased colon cancer risk. However, an increase in physical activity level may reduce risk. Although having one or even several of these risk factors does not guarantee you will develop colon cancer, research shows you may be at higher risk if you do. If you have any of these risk factors, talk to your doctor about your colon cancer screening options. The old saying rings true: it is always much better to be safe than sorry. 1"What Are the Risk Factors for Colorectal Cancer?" Colorectal Cancer Prevention and Risk Factors. American Cancer Society, n.d. Web. 28 Apr. 2014. 2"What Are the Risk Factors for Colorectal Cancer?" Colorectal Cancer. Centers for Disease Control and Prevention, 31 Jan. 2014. Web. 28 Apr. 2014. 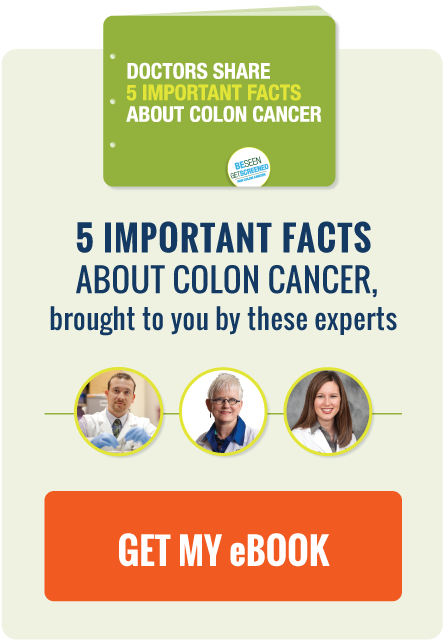 3"What Are the Risk Factors for Colorectal Cancer?" Colorectal Cancer Prevention and Risk Factors. American Cancer Society, n.d. Web. 28 Apr. 2014. 4"Colorectal Cancer: Latest Evidence" Colorectal Cancer. American Institute for Cancer Research, n.d. Web. 30 Apr. 2014. 5"Does Being Obese Cause Colon Cancer?" Cancer.org. American Cancer Society, n.d. Web. 30 Apr. 2014. 6"Long-Term Smoking Increases Colorectal Cancer Risk, Study Shows." American Cancer Society, 3 Dec. 2009. Web. 30 Apr. 2014. 7"Alcohol Use and Cancer." American Cancer Society, n.d. Web. 30 Apr. 2014.